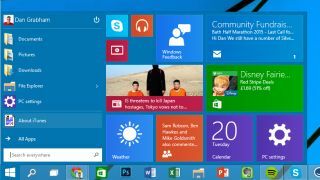 Microsoft has shed a little more light on how Windows 10 Technical Preview expiration dates work. In an answer to a question posted on the Windows Insider Program community site, RajithR, a Microsoft support engineer, gave a detailed timeframe that showed builds will no longer boot just two weeks after the license has expired. Using build numbers 9841, 9860 and 9879 as an example, the engineer explained that expiration warnings began on April 2, which is exactly two weeks before the license expiration date of April 15, and precedes Windows not booting at all from April 30. As for build numbers 9926, 10041 and 10049, he went on to show that expiration warnings will pop up from September 17 before the license expiration date on October 1 and the version of Windows will eventually stop booting on October 15. What to do if it expires? Users that are experiencing problems installing the latest build through Windows Update are advised to download the latest ISO file, double-click to mount it and then launch setup.exe. If Windows stops booting because it has expired, users are advised to download the ISO file on another computer, transfer it to a USB flash drive or DVD and boot the PC from this media. Windows 10 Technical Preview Build 10061 is hot off the press and its release brought new Mail and Calendar apps to Windows 10 plus a variety of other smaller tweaks.